is that unfused collar or a fused collar with soft interlining can create this effect ? Just ordered RM2.2k worth of MOP buttons. This is a different shape of buttons, from a different supplier. I was told this morning the buttons will be ready in two day's time. They were made specifically to my specifications. Can't wait to see how they turn out. Should be magnificent. Didn't go for the laser etching; saw no value added in having my name in microscopic type on shirt buttons. They turned out better than I had expected. 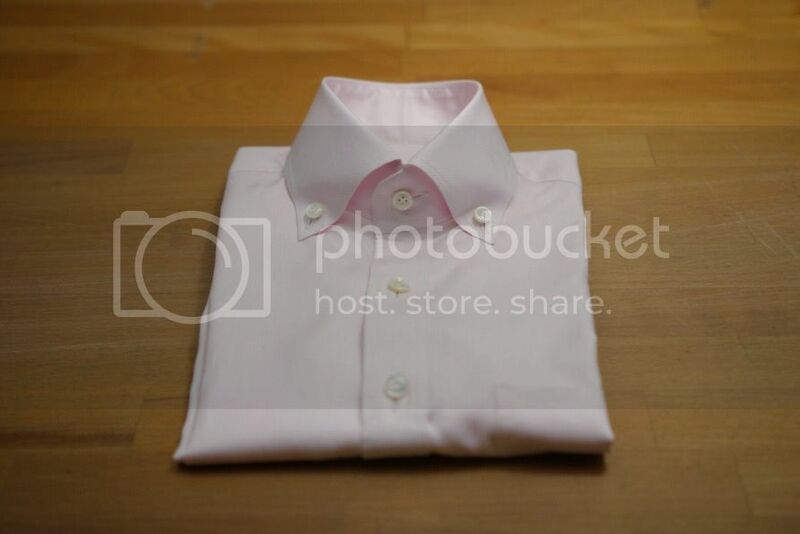 Recently while fitting a suit on an old customer, I noticed his shirt sleeves were very short, like 1.5" too short. This is surprising because the shirt was made by me -- I'm never off by that much; the process I follow doesn't afford such a large variance from the optimum. 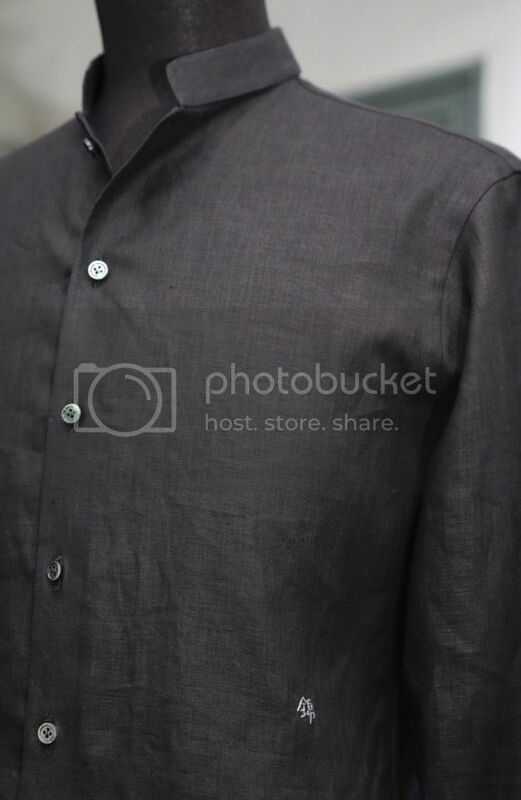 Moreover, he has a very mature shirt pattern refined over years. It was so short that even Patrick of WWChan remarked on it during a fitting. Even more surprising is how the customer never remarked to me how short his sleeves were. It was I who noticed it. So, last week when he came, I measured the length of yoke + sleeve. This was from another of my shirts for him that wasn't too obviously short in the sleeves. It was 34". 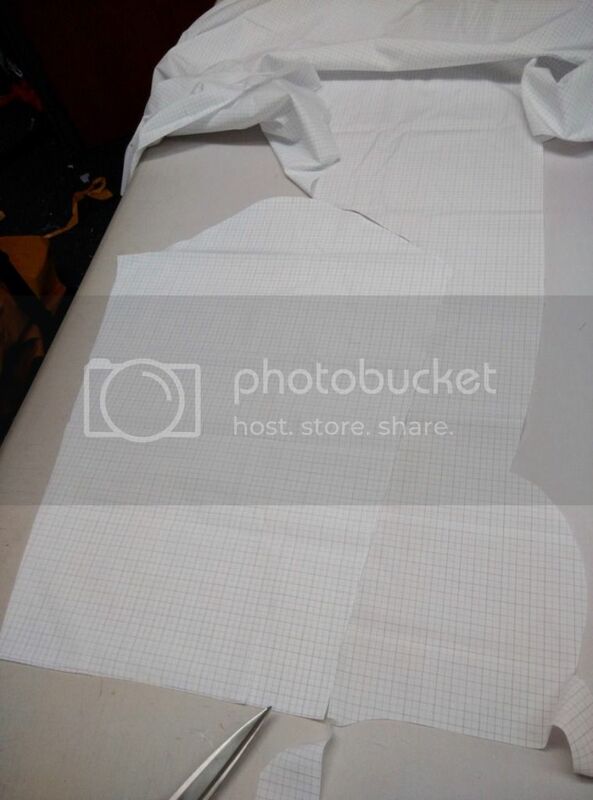 I just measured his paper pattern, and it was 35". So somehow, 35" eventually became 34" on one shirt and 33" on another. I'm shocked just how much some shirtings shrink. It shrinks a bit with each wash; that's why not even the customer noticed it, like the metaphor of the frog in the pot of gradually heated water. In fact, I suspect hot water was involved -- the very shrunken shirt had probably been washed in hot water and tumble dried by hotel laundry. The question is, how long to make his shirt sleeves? Do I take into account the possibility of such shrinkage? Do them as usual, but prepare longer cuffs to switch when the sleeves get shrinked. 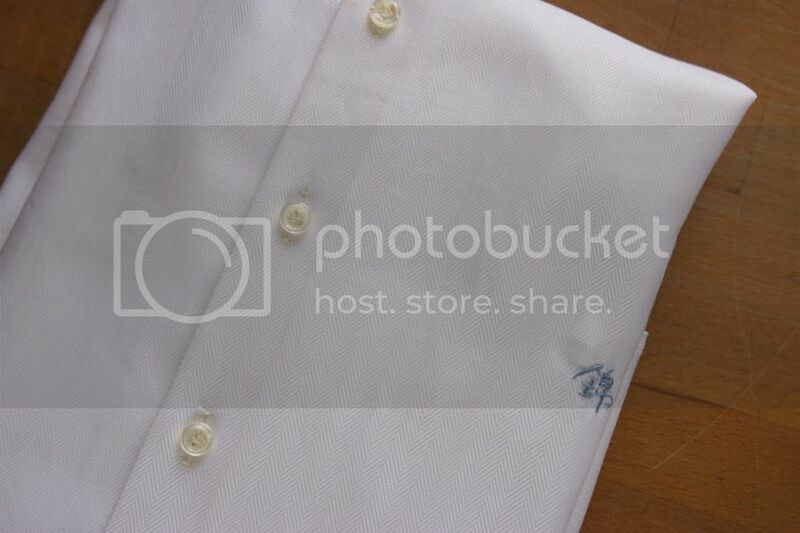 What shirting brand is that to know? And delete the crap you wrote under my avatar on my profle, it was about time! I experienced the same thing with some Oxford shirts that I ordered from you too. Of all the people in the world, you should know what happens when you express dissatisfaction with your profile description. Namely, you get a new one even less to your liking. But, since it's Christmas, some munificence is in order to my dear friend. So, dear Francisco, as a Christmas gift, I offer to delete one word. Which word shall it be? All are fake, so you are bullshiting your own forum. Peasant shirt, if there ever was one. The cotton looks like the sort used to make kitchen towels at ikea. 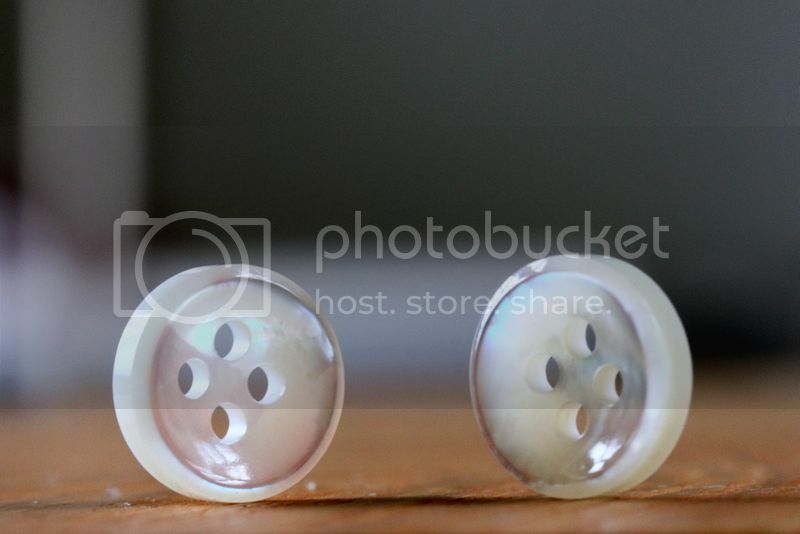 Coconut shell buttons. Questionable sewing and cut and interlining. Price? Right now 69 Euros. My own personal shirt being cut. That's the sleeve you're looking at. DJ Anderson 200's. Having two made for CNY. No time for trousers, which is what I'm really lacking. For my two shirts in DJ Anderson 200's, I'm thinking of having the embroiderer put my complete Chinese name on the shirt. All three characters. Vertically. There is something discordant about an Oxford weave shirting in 200's cotton. It's like a Super 160's wool hopsack. But then, the Range Rover comes to mind: Isn't that similarly discordant, a luxury off-roader? In practice though, on the skin, this is really quite a treat. The coarser weave gives the cloth more body so it isn't as thin and sheer as a poplin. It's also a more porous weave, so the shirt wears fresher. The very fine cotton gives it a handle more like silk than cotton. I'm waiting for someone to produce a jeans out of 200's denim. It will be astoundingly expensive because denim is heavy. What a nice shirt Jeremy Irons is wearing. I need one. "Chinese characters number in the tens of thousands, though most of them are minor graphic variants encountered only in historical texts. Studies in China have shown that functional literacy in written Chinese requires a knowledge of between three and four thousand characters." The reason why you can't buy plastic templates for Chinese characters in a bookshop is the same reason why the printing press was not invented in China. Too many characters.